Have you Set up a production run? Have you Added forecast costs to your Profit & Loss? Have you ‘confirmed contribution’ on your P&L? If so, your P&L is ready to add ‘Actual’ costs. Read on. 1. Go to the supplier invoices page. Scroll to the Direct Costs section. In the Actual column, click the Edit link on one of the costs to head to the Production run. You arrive at Production run > Supplier invoices. Click Record supplier invoice against the relevant product. You arrive at the Edit supplier invoice page. What if my actual cost wasn’t in the forecast? 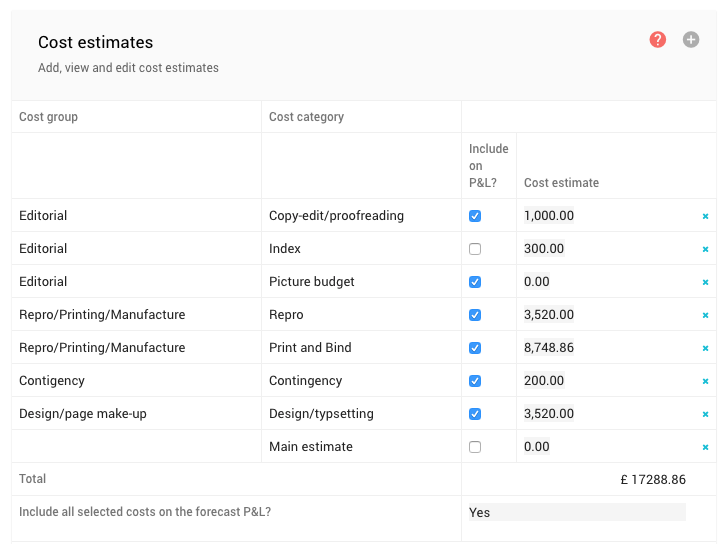 When choosing a cost category, you can choose only from cost categories that are chosen already on your forecast under ‘Cost Estimates’ (see screenshot below). That means that if you want to create a new cost that is without a cost category, add this cost category to the forecast first. 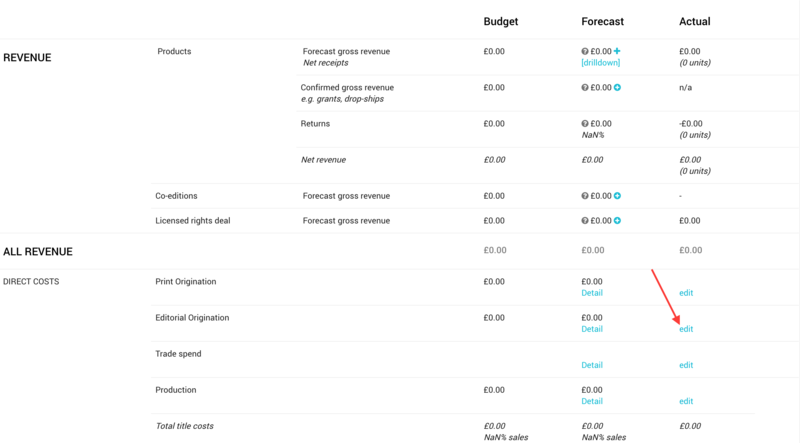 If ‘Picture budget’ is included on the forecast at 0.00, add a supplier invoice for this cost, so it appears on the P&L. But if there is no cost category at all, add a new cost category under Project management > Finance codes. Then scroll back up to Cost estimates, tick Include on P&L? and enter a value of 0.00. Add the supplier invoice. If you want to add another supplier invoice, click View most recent production run to return to Production and then click on your Production run to return to Purchases > Supplier invoices. On the P&L, scroll down to Direct Costs. 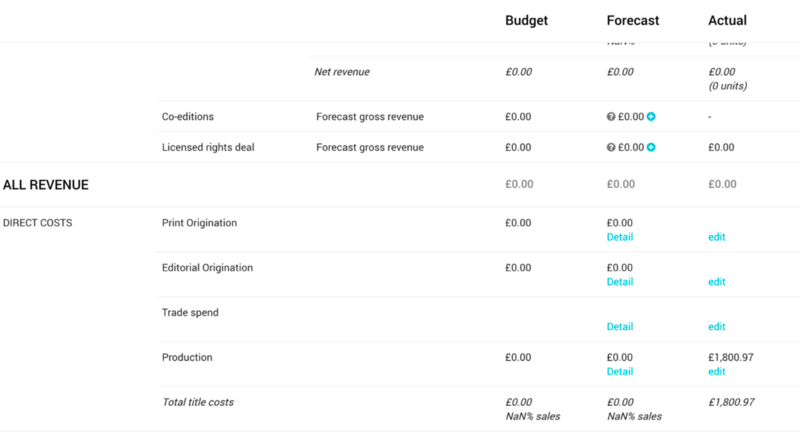 The Actual column has updated with the value of your new supplier invoice(s). Click the Edit link on any of the rows in Direct Costs to return to the Production run.